This is a new design from Ser Jacopo called, "Mons." turned from beautiful Amboyna burl and mounted in sterling silver at each end. 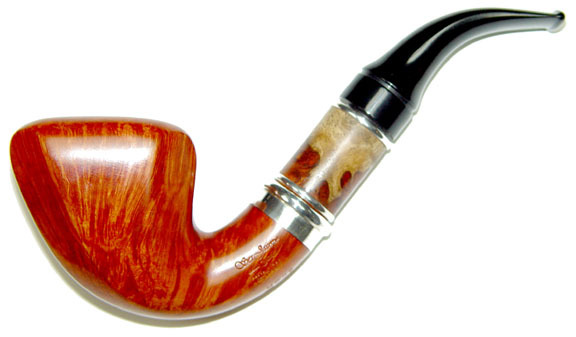 The combination is a bit like a peasant's pipe, only one with Gem Series grain. This is a beautiful and unique pipe.